A new line of electromechanical relay switches, introduced by Pasternak, in popular configurations that operate from DC up to 26.5 GHz and feature a D-SUB multi-pin connector interface for secure and reliable DC voltage and command control functions. 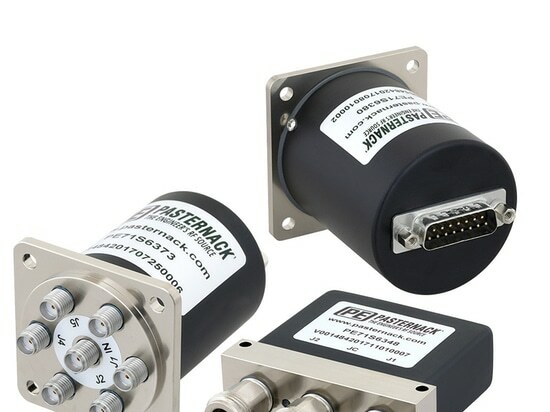 D-SUB multi-pin connectors provide a solderless, press fit reliable I/O connection that can be permanently locked down with a mating multiple socket D-SUB connector and will not come loose or break off during handling or environmental exposure to shock and vibration. Typical applications include military communications, commercial aviation, Hi-REL electronics, SATCOM, test and instrumentation, broadcast systems and medical equipment. The new product line consists of 44 different electromechanical relay switches offered in both +12V and +28V designs. They are available in SPDT, SP3T, SP4T and SP6T configurations that support either latching, failsafe or normally open actuators with usable features such as indicators, terminations or TTL logic. Typical performance includes 0.15 dB insertion loss and 90 dB isolation levels, power handling capability is rated up to 600 watts. The package outlines of these switches are compact and ruggedly built, supporting SMA or N-type connectors. They are highly reliable with an operational temperature of -20°C to +70°C and a rating of up to 5M lifecycles when used in a make before break (cold switching) condition. All models are RoHS and REACH compliant and guaranteed to meet MIL-STD-202 test conditions for vibration and shock. 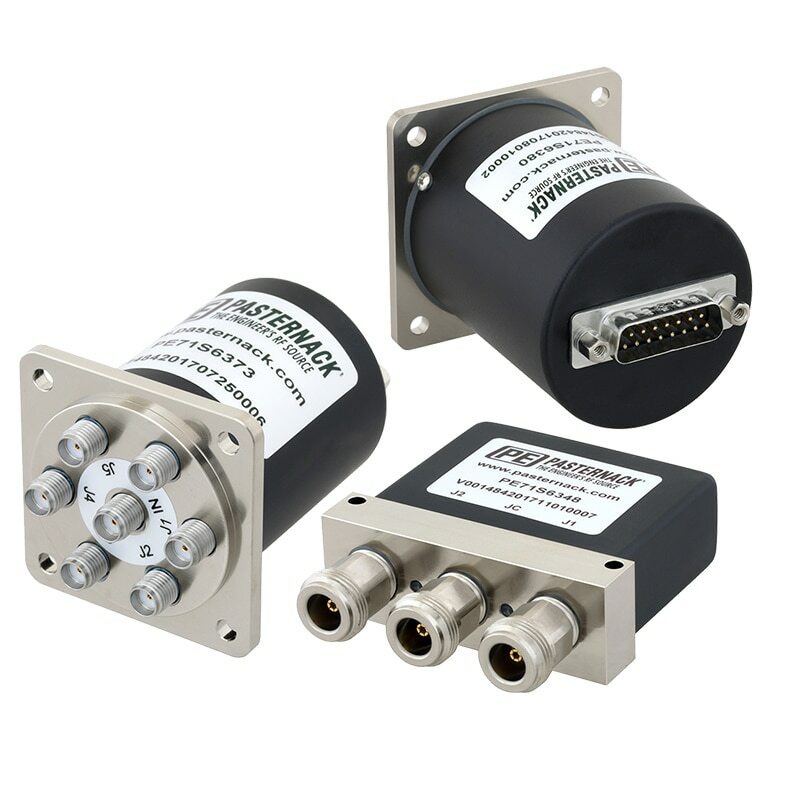 “Pasternack’s new line of electromechanical relay switches with D-SUB connectors offer a secure and reliable interface for DC voltage and command control functions. Designers can select from 44 different models of single and multi-throw switch configurations that cover up to 26.5 GHz and are rated up to 5M lifecycles for highly reliable operation. What’s even more impressive is that Pasternack offers all switch models available in stock and ready for immediate shipment,” said Tim Galla, Product Manager.